[prMac.com] Madrid, Spain - Independent developer, Javier Ramirez today is proud to announce the release of Wakefy 0.2.0 for macOS. 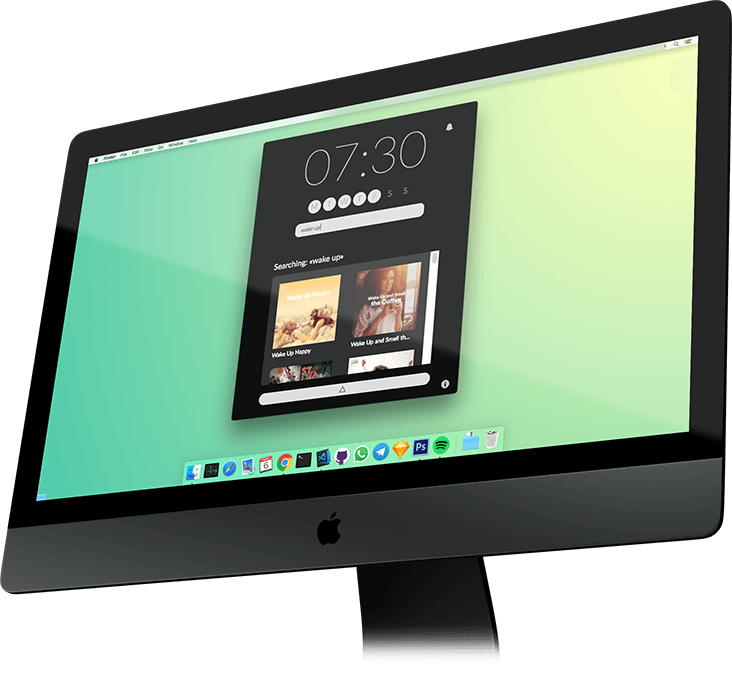 Wakefy is a simple, beautiful free app that turns your Mac into a Spotify alarm clock. It forces you to actually get up and walk to turn off the alarm, and allows you to wake up to your favorite Spotify tunes. It works even if your Mac is not awake. "I have a sleep disorder called DSPS that makes me a really heavy sleeper in the morning," explained Javi Ramirez, indie developer. "And you know, sleeping next to my phone, as we all do, did not help at all. I subconsciously mastered the ability to turn off that awful alarm without even opening an eye. I became desperate to wake up on time most days. That's why I decided to put an end to my problem and created Wakefy. I just want people to solve their waking up problems or just enjoy better mornings." The fact that you can set a Spotify playlist as the alarm sound implies you can wake up each day with a different song, preventing you from getting used (and ignoring) a single alarm ringtone. It prevents you from hating a single alarm sound, too! Wakefy 0.2.0 is freely available, and can be downloaded directly from its official website. macOS 10.12 or later required. For more information about Wakefy, please contact Javier Ramirez. Javi Ramirez (@rameerez) is a 24 year old indie serial maker from Madrid, Spain. Computer Science + Business Administration graduate. Javi believes in shaping the world through creating meaningful products and companies that support them. That's why he designs and codes products such as chatbots, apps (mobile/web/desktop) and Artificial Intelligence and Big Data apps that make people's lives easier. He has been also a TEDx speaker and has founded international award-winning startups and products. All Material and Software (C) Copyright 2018 Javier Ramirez. All Rights Reserved. Apple, the Apple logo, macOS, iPhone, iPod, iPad and OS X are registered trademarks of Apple Inc. in the U.S. and/or other countries. Other trademarks and registered trademarks may be the property of their respective owners.